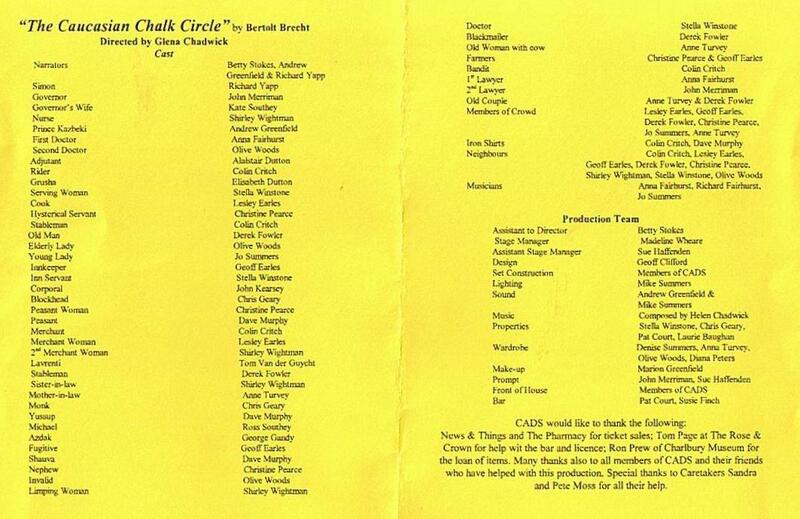 The timing of this production was particularly fitting when we performed it in May 2003. Set in a country torn by civil uprising, it tells the story of a young peasant girl who reluctantly rescues an abandoned baby of the Royal Family and flees with it into the countryside. She risks losing her own life and her true love in order to save it. 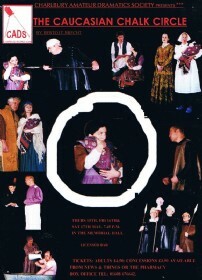 The play is full of a variety of characters, from menacing soldiers to grumpy mothers-in-law and dodgy monks. Will the child end up with the right mother? The judge, a man of the people, who has been thrust into office by the soldiers, has the job of delivering true justice. 40 Photos. Click thumbnail images to enlarge.